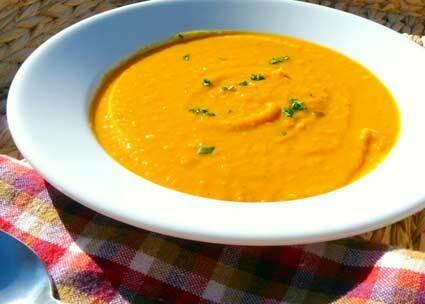 This is one of my favorite squash soup recipes. I usually use butternut squash, but pumpkin can easily be used as well. The tastes of the two squashes are quite different. Think of this recipe as the foundation for your squash soup, but then try different flavor options as noted at the end. Pre-preparations include peeling and chopping the butternut squash, so it’s assumed that part is already completed. Place the water into a large pot. Add the onion and garlic and cook stirring frequently for about 2 minutes. Add the squash, cumin and coriander. Cook stirring frequently for another 2 to 3 minutes. Add the remaining ingredients except the cilantro and bring to a boil. Reduce heat, cover and simmer for about 15 minutes or until squash is tender, stirring occasionally to make sure ingredients are well combined. Puree in a blender, Vitamix or food processor. Add any additional water so that it’s at a consistency that you like. Garnish with cilantro before serving. A common practice with any soup is to make a double batch of it and freeze the left over portions for another day. I like this soup recipe quite spicy, so frequently add cayenne pepper, fresh ground black pepper and a very special Habanero oil garlic sauce I have access to here locally. Ginger would also add a nice kick in the colder fall and winter months. Experiment with your flavors. Turmeric would be a great addition to this recipe as well. If you like, add 2 Tbsp of ground chia seeds before blending for additional fiber, nutrients and Omega 3 fat’s. I like this coconut flour bread recipe because it’s high protein, high fiber and made with coconut oil. There are only 4 ingredients so it’s so simple even a guy can make it. Perfect with a little nut butter on it and eaten with one of my favorite green soups and a salad. 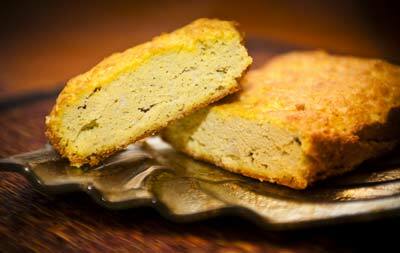 Coconut flour is gluten free, high in fiber and low in carbohydrates. 5 Tablespoons of coconut flour has 30 grams of carbohydrates to it’s 27 grams of fiber resulting in 3 net carbs. It’s slightly sweet too, so the bread is more of a heavy high protein compliment to a soup rather than for use with sandwich meats. This is so drop dead simple, even the worst cooks can make this at home. It uses 4 ingredients, 2 of which are from coconuts. Ideally you’d want to use pasture eggs from your local farmer rather than supermarket eggs because of the improved nutritional profile pasture eggs have. Do what you have to do though. Mix all ingredients together and pour into a small bread pan wiped down with a little coconut oil. Empty the bread out onto a towel or plate and leave it to cool for a while. Lining the bread pan with a little coconut oil should make the job easier. Because the bread is so dense, it doesn’t rise very high as you can see in the picture. When you prepare your bread pan with the oil, pay attention to the bottom portions of the pan. 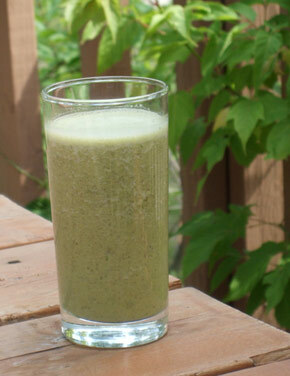 Four of my favorite things are carrots, kale, nut milk and chia seed, so I found a way to incorporate them all into a little green smoothie drink I make for the middle of the afternoon as a little pick me up. I also use this after a workout as my post workout recovery drink to build muscle and reduce catabolism. Most people might consider this a green smoothie, but I prefer to call it a blended salad because my definition of a green smoothie is a little different. I have a drink I liked to call Rob’s Carrot Kale Cocktail which was basically just a special concoction I made up in a blender but it’s now morphed into this wonderful drink that also contains nut milk and chia seed. It’s still Rob’s Carrot Kale C,ocktail, but it’s version 2. Preparation: Soak 1/4 cup of sunflower seeds and 10 to 15 almonds in water overnight to activate the seeds. Pour off the soak water and put sunflower seeds and almonds into blender cup. Add a cup of distilled water. I prefer the Magic Bullet because of it’s unique blending format which forces the liquid down onto the blades. Blend for about a minute or two. Add another cup of water to thin it out a little more. I find that blending in less water allows all the seeds to hit the blades more effectively. Add a Tablespoon or two of chia seeds, stir into nut milk and allow 5 minutes for the nut milk gel (chia gel) to set up. Put the carrot parts into the nut milk. Blend again until carrots are fully mixed in. Add Kale and parsley, Blend again. If required, go ahead and add a tsp of Dark maple syrup for flavor. Maple syrup is optional. I suggest dark maple syrup because it has more minerals in it. Stevia may also be used. Taste it first though, you might find you like it just the way it is. Note: Chia seeds will really gel this up if you use too much. Play with the amount of seeds to the amount of water. You should be able to sip it, not have to spoon it out. The nut milk itself will provide a few grams of fiber. So will the chia seeds, so I’d approximate the fiber in this to be at least 5 grams (or more). Blended salads are a great way to add nutrient dense foods to your day, as a mid afternoon snack, a post workout supplement or added to a meal instead of other beverages. Kale is a nutrient powerhouse – one of the preferred dark leafy green vegetables. Carrots add important vitamin A while the chia seeds add so much to the mix and slow down the absorption of it all keeping you full. Chia also provides important Omega 3 fats. The nuts and seeds of course provide protein, fats, fiber and many minerals. Every body knows that the showcase muscles for a man are the arms and the chest, I mean nothing looks stronger then a thick brick chest and a pair of guns hanging off your shoulders. I’m currently on workout 3 of 4 in this pec routine and the results have been so impressive that I decide to write it up for you before I even finish the final workout next week. Here’s how it works. You select two exercises. For exercise one (the main course), I chose a basic pec mass exercise that can be done at any angle from steep incline to flat bench. That’s the primary exercise you stick with for all 4 workouts. Incline Dumbbell Press was the natural choice. I set up on a fully adjustable bench that allows multiple angles of incline. For exercise two (dessert), I chose an isolation exercise for a pump finisher, and it changes with every workout. Now rest 2 – 3 minutes. That’s one “set.” Technically of course, that is FOUR SETS, done in rest pause fashion, so lets call it one “round” for clarity’s sake. Yes… that was round ONE. Now do it two more times. Note: It helps a lot if you have a training partner change the bench angle so you can stay seated and keep the dumbbells in your hands. Doing it alone is slow and cumbersome. For poundage, you’re going to have to go MUCH lighter than usual. Although I don’t train heavy pecs anymore, last time I did, I was doing 6 reps with 125s on the incline. So for this program I took about 50-60% of that; 70 lbs on workout 1, 75 lbs on workout 2,and 80 lbs on workout 3. On the last one, I had to drop to the 75s to finish all 3 rounds and even then I needed some forced reps towards the end. You may need to decrease the weight on the 2nd or 3rd round, but if at all humanly possible, do NOT reduce the weight during each round. Doing all four angles at the same poundage is the whole idea. What may happen, especially if you even slightly overestimated your starting poundage, is that reps may drop with each angle change within a round. First angle – 6 reps is easy. second angle, a little harder, but still no problem. Third angle, you might only squeeze out 5 reps or hit honest failure on the 6th rep. 4th angle (flat), you might hit total failure on the 4th or 5th rep.
Now this is also where a training partner comes in. This routine should not be attempted without a spotter. Sorry, but you are a dork if you try to do this without a spotter. This program causes HONEST muscle failure (I’ll explain that in more detail shortly), so you need the spotter for safety, but moreover, you will need a spotter’s assistance to complete forced reps, at least on the final round or two, if not the first round. In general, forced reps should not be overused, but they play an important part of this program. The second exercise (exercise B) is going to be an isolation exercise.. ie., DB flye, cable crossover, machine flye (pec deck), etc., and you will perform 20-25 reps, non stop in piston-like fashion. use a steady quick tempo, but not so fast that you use momentum. That’s it! That’s the whole program. Three rounds of multi-angular rest pause, then finish your workout with 2-3 sets of 25 reps on a pumping, isolation movement. This routine is performed within a standard bodybuilding type of split, so it should be done once in 5-7 days, no more. You would probably do another body part after chest,such as biceps or triceps, depending on how you organize your split routine. I would recommend advanced bodybuilders use this program a couple times a year if and when they need a boost in chest development. This is not the type of program you would use all the time. You would burn out and overtrain. There’s one more very important part of this routine – progression. On the Incline Dumbbell Presses, you will increase the poundage with every workout. Keep in mind, you will not be able to complete all 3 rounds at all 4 angles for 6 unassisted reps. Its going to get harder each time, even as you get stronger. You may have to use a spotter more with each progressing workout. You may also find that on workout 1 or workout 2, you can complete all 3 rounds with the same dumbbells, but on workout 3, by the 2nd or 3rd round, you have to drop the weight or you’ll barely be getting 2 or 3 reps.
Now let me re-emphasize the importance of a spotter. There’s something that’s going to happen when you do this routine that does not happen often. You will hit what my training partner and I call “HONEST FAILURE.” This means that your muscles literally fail, or give out right underneath you. Mind you, this is not something you would usually aim for, but that’s just the nature of this program and this is only a 4-workout high intensity “shock” type of routine. When I say your muscles will give out, I mean that literally. On the last rep or two of 3rd or 4th angle, of the 2nd or 3rd round, your arms may literally buckle underneath you. That’s honest failure. You see, there are several types of failure… First there is “sissy failure”.. that’s when there is a lactic acid burn or a fatigue in the muscle (you’re tired) and because it hurts or you’re tired, that causes you to stop. That’s sissy failure (sarcasm). Then you have positive failure. This is where you can no longer push the weight up in a concentric motion, but you are still able to lower the weight and exert an upward force against the weight. For example, you’re bench pressing and you hit the “sticking point,” but you are holding that bar at the sticking point (its not coming back down), and you’re still exerting force to push the bar upward, but the bar simply isn’t moving up! Then you have honest failure. This is where the muscle simply gives out.. it buckles. you have reached concentric and eccentric failure. This type of failiure is rarely discussed. In fact I don’t recall anyone ever writing about it except for Arthur Jones and Ellington darden and the rest of the High Intensity Training (HIT) camp. 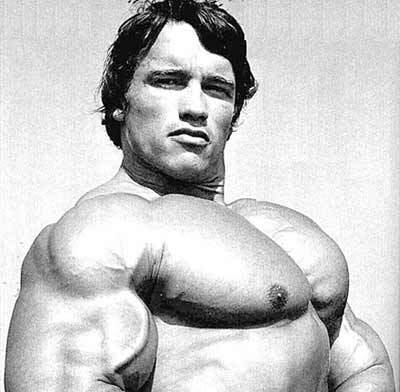 However, as a technique you use on rare occasion for a shock routine that breaks through progress plateaus helping you build a bigger chest fast, that untrodden territory is there… for those who dare. There is something about this particular chest workout program (multi angular rest pause) that takes you there. You’ve been warned! Train hard, but be safe! Now, go out there and get jacked!